You must make reservations at least 5 minutes in advance of the time at Il Postino. 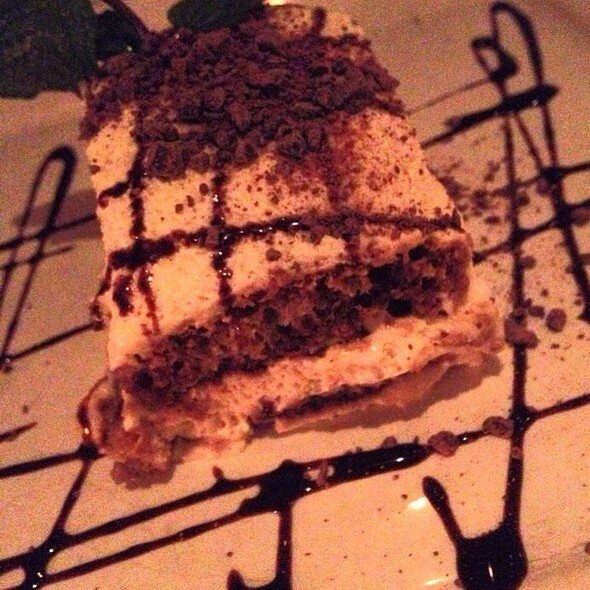 Il Postino sets the standard for authentic Italian cuisine. The superior quality of the food and relaxing atmosphere creates a memorable dining experience. Owners Luigi Russo and Alfio Ruocco have built a wonderful dining establishment that has gone unrivaled in the neighborhood for over 16 years. 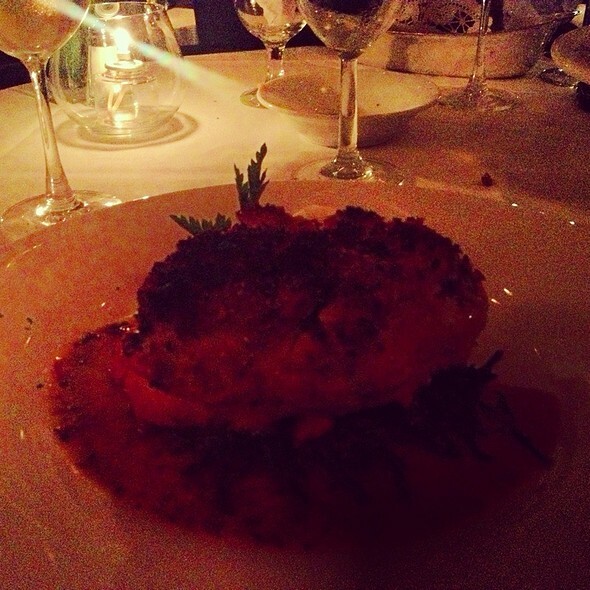 As always, dining at Il Postino is great. I had a business lunch there and it was quiet enough to conduct a conversation. The staff was kind enough to lower the music, which was loud because speaker was right over our head. one of the best dining experiences in NYC!!!!!!!!! Food and service was superb! Authentic Italian experience. I eat here once a year and am never disappointed. They treat you well, give great service, a serve well prepared and tasty food. I lived several years in Italy and coming to Il Postino reminds me of some of the great meals I had there. I have tried other NYC Italian restaurants and I like this one the best because of the quality of the meal and they outstanding service. Chicken bland. Service begrudging. Wanted to treat guest to special meal. Experience wax nothing special. Early lunch hour. Not crowded. Therefore lack of effort is root cause. It’s one of our most favorite restaurants. 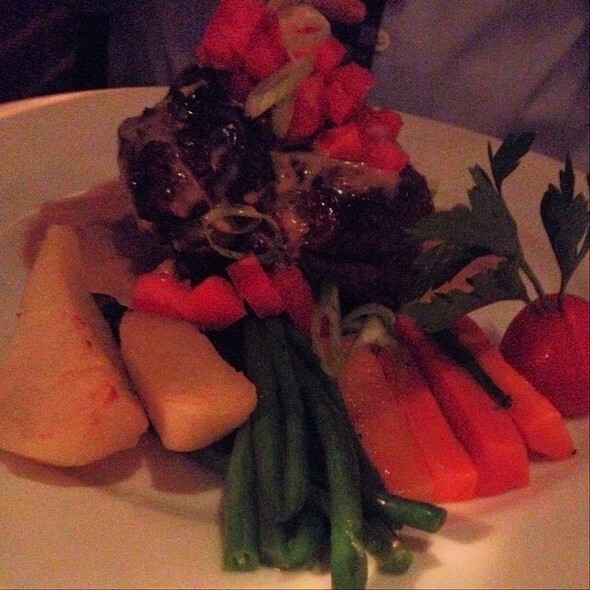 The food is fantastic, always fresh, and in addition to the great menu, the chef will customize within reason. The staff is professional, friendly and helpful. Loved the food and service! Watch out for the antipasti: delicious, but no price disclosure beforehand. Our favorite restaurant in NYC. Been coming here every time we have visited NY since 2004. We went for dinner during NYRW. The restaurant was beautiful, with classic Italian style. The service was impeccable. The food was delicious, especially dessert. What else can I say, Would definitely recommend and we will go back. We got the calamari in red sauce for an appetizer and it was chewy and way too fishy. It was not a dish I would ever order again. I was very disappointed. Both of our dishes were not up to par, I had veal and my boyfriend had the pork chop. We were both extremely disappointed with our meals. One other thing that disappointed me was that I was told that my dish was served with string beans as the vegetable and I am highly allergic. The waiter continued to ask me multiple times as it was like he didn’t believe me and it was extremely annoying. Very fine restaurant. Consistently good!! Keep up the good work!! Friendly service. Very attentive. Food was amazing. It was restaurant week and was expecting to secure a $42 meal plus maybe a glass of wine. We were greeted by our waiter with a wine bottle offer that was “only” $120. I had to ask for the wine list and each of us settled on a couple of moderately priced glasses of wine. Once presented with the RW menu there was a statement of $10 additional for certain wines, but this was never brought to our attention. Being on business, we needed receipts. The original bill came with an interesting $60 over charge. We then sent it back and they reworked it to the originally expected price. However, as I will be surprised if I get reimbursed since the hand written bill is quite illegible. Decent food, but I felt like there were some dishonest practices. The food was good, not spectacular by any means.. the risotto was definitely the best thing. As far as service, the waiters seemed to be in a hurry to go home. Not only did they hang around the table but they turned off the lights by our table making it hard to read the bill and started to stack the chairs on top of the tables by us. When we are spending 100 dollars each on a meal, we shouldn't be rushed. This took away from the experience completely. Cozy & Delicious comfort food. Its certainly not a low calorie meal, but well worth the splurge. I came here recently after many years & it was exactly as I remembered. 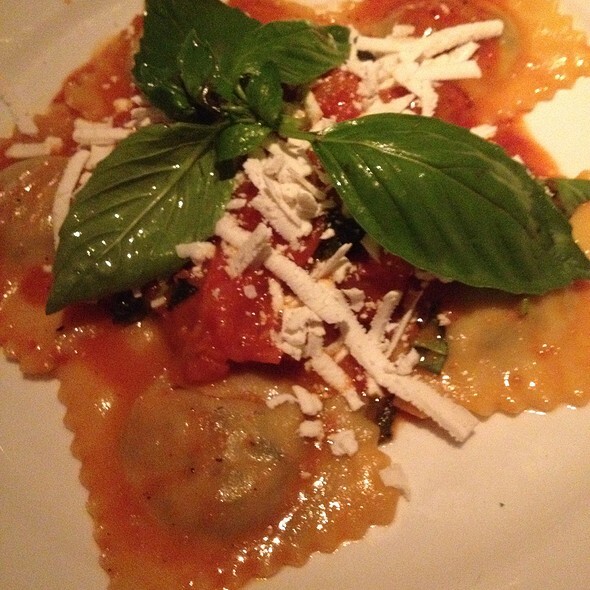 While the food was good, it wasn’t the best Italian restaurant experience in NYC. 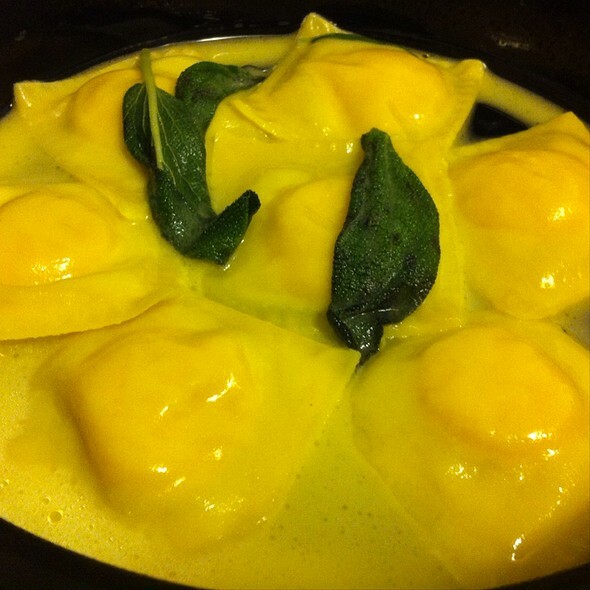 As a native New Yorker, I’ve found some great authentic and delicious spots for Italian food. We went during New York restaurant week, a great opportunity to try new places and make them staples. The food was tasty, not explemary — the risotto was delicious. Service— the hostess was sweet, very accommodating. We had a terrible waiter was impatient with us but extremely patient to all of the other groups around us, especially the 6 party businessmen next to us. While I had a question on the menu, he scoffed and barley answered the question about the dishes. I have an allergy and wanted to ask a question about the dish. Meanwhile all the tables around us, he gave them full descriptions and practically painted stories about the dishes. The other servers and attendants who checked in were warm. All in all, I don’t think we will be coming back. We love food and Riverpark etc are far more worth the value, service, and ambiance. The food was incredibly fresh, with sauces prepared in the dining area and added immediately before being served. We were seated immediately and the staff was super attentive throughout our meal. The Restaurant Week Menu was a real bargain. 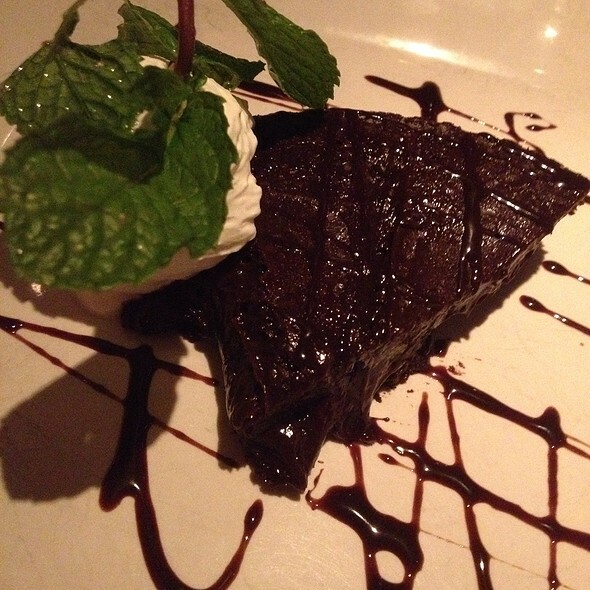 A la carte prices are o the high side, but Il Postino offers a top notch dining experience. Because space is limited, as is the case in many Manhattan restaurants, the noise level increased a bit when all tables were full. The ambience is cozy and relaxed vs. quiet and reserved. My daughter and I dined here for lunch during Winter Restaurant Week 2019. The lunch was two courses and dessert was extra. The service was excellent. The food was very good. I was taken aback at the $14.50 charge for a small piece of cheesecake. That high price was unexpected as we did not receive a dessert menu. So although the food was delicious, that left us feeling like we had been overcharged. The restaurant we lunched at the next day had a $3 supplement for dessert listed on their menu so there no surprises when the check came. In my opinion, Restaurant Week should go back to three courses for lunch where dessert would be included. As always, we enjoy the food,mthemaervice and the ambiance. They did it again. We live a few blocks away and always look forward to returning. Sometimes with guests. Fabulous place. 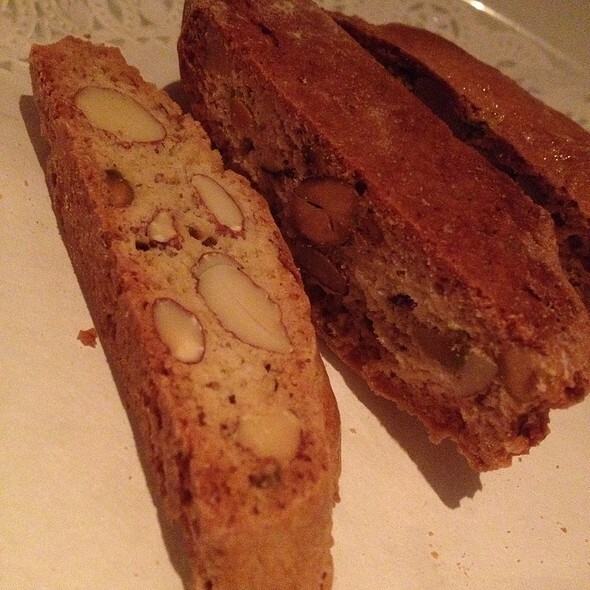 I loved every single detail of my experience at Il Postino. I can not say enough wonderful things about the service and food. Five of my friends celebrated a friend's birthday here last week. From the moment we entered the crowded restaurant, we felt that the service was attentive, personnel, and made our stay wonderful. We were there for over two hours, each enjoying and commenting on the quality of the food and the generous portions, especially during restaurant week. I requested a candle in our dessert, the they brought out a beautifully decorated plate with a chocolate cake and candle. They even gave the birthday women an extra scoop of ice cream along with her cake. In terms of the food, one friend had the pasta and seafood and the dish was enough for two. She did not leave a bit, the same results for the fish and chicken dishes. The first course of grilled calamari, mussels , and the cheese were also yummy. The bread was excellent. The excellent service made the lunch really special. Everyone working there seemed to really enjoy their work and even the receptionist and manager checked in to see if we needed anything. This was second visit to this restaurant and it will not be my last. We went to Il Postino for lunch during Restaurant Week. For starters, the service was terrible. The food was mostly pretty good but not great--only the bread was great. The menu online said they were offering a 3-course lunch, including dessert, during R.W. But the restaurant menu said the lunch was only 2 courses. I hate this kind of bait and switch. I showed the menu I printed out to the waiter before we ordered dessert, and he said no problem. But the bill included extra charges for the desserts. Another waiter came over THREE times trying to get us to pay extra for the desserts. This ruined the experience for me, and we won't be returning. You have to stand by what you advertise. No one wants this kind of aggravation. And the food was just average. I don't understand how it has such a high rating on opentable. The service was incredible, great food, amazing atmosphere, and easy to locate. I'm from Philadelphia so NYC isn't exactly a place I know well! It reminded me of dinner in Little Italy! We had a wonderful dinner with old friends! The food was just delicious!! The staff honored my request for a table for 8 in the window. Very nice of them! Attentive and friendly service! Out friends from out of town raved! Food and service were excellent !! This is one of the most agreeable dining experiences that I have had recently. Great food, enthusiastic staff, well-curated wine list - pricey but reasonable for what is on offer. It is an expensive restaurant, with many entrées in the $50+ range, but if you stick to an appetizer and a pasta dish you needn't break the bank. Generally quite noisy, though the rear dining room is less so. They dropped the check before I asked for it - an automatic demerit. I've already recommended Il Postino to friends, and look forward to returning. First time at Il Postino with my family celebrating my sons birthday. Service was very good. Selection of dishes and menu specials was generous. Food was fantastic. Very nice wine list. Hope to return soon! Late lunch. Restaurant not very busy. Great bread. Portion sizes adequate. Atmosphere and service excellent. Food was just average. Food was terrific and portions large enough (the snapper and the pork chop were HUGE). Service was great, too. 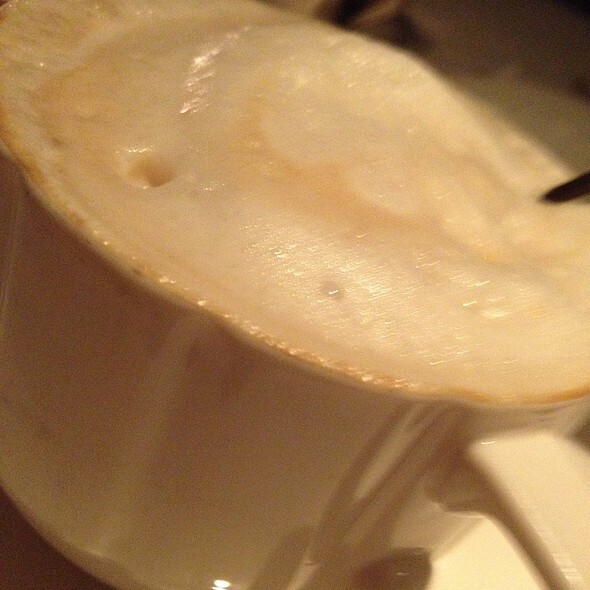 My husband and I had a delightful Restaurant Week dinner at Il Postino. I wish it were one of my neighborhood restaurants. Service was very attentive and pleasant; the bread served to the table before dinner was outstandingly good, and the food overall was delicious. The Restaurant Week menu is a but more varied than such menus sometimes are. I would certainly recommend it, and although I now the prices are much higher for the regular menu than the RW options, I think it might well be worth another visit. The setting is just delightful: quiet ambience, traditional decor, overall sense of just what a city restaurant should be. For dinner entrees we ordered Halibut and Steak. First time dining at this hidden jewel midtown east side restaurant tucked into a residential area. Party of six and everyone was praising me for the discovery. Service was outstanding as was the food. I had the Chilean sea bass which is a staple for me and this was the best prepared I have experienced. 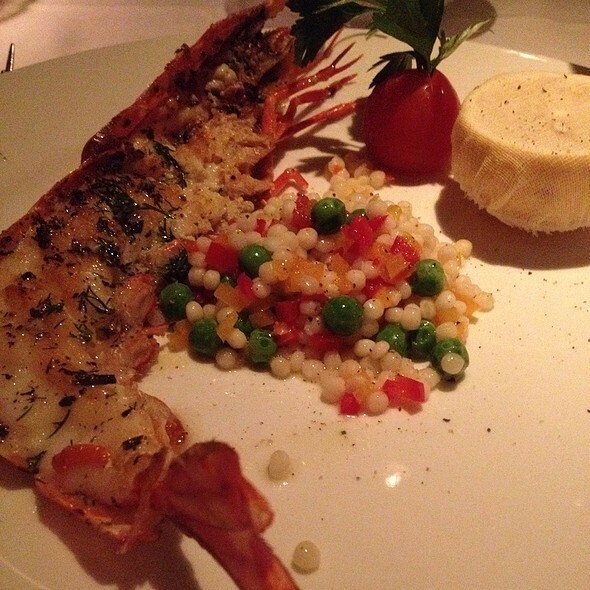 others had ravioli, chicken parm, bronzino and frutta dimare, and shared the same review. Outstanding on all levels. They start you with lettuce wraps and complimentary apps, who does that in NYC? Great start and wonderful finishes, friends raved about the home made gelato. This is a must try restaurant! I can't wait to return. Our meal was very good and service was excellent. Prices are rather high for amount of food. Baked clams not good at all. I should have returned to the kitchen. Our main meals were very good. I love Il Postino. The food is always consistently excellent. They have great staff and are very attentive to customers. My complaint is that on New Year's Eve, they jacked up the prices and provided a limited menu. The cost was double what dinner there normally is. I don't like the idea of taking advantage of people.